Driving is definitely a pragmatic skill that a person can learn in his life. Lots of learning about driving canâ€™t help you to drive a car until you practically drive the car. So it is best for you to learn it from an authentic and good driving training school. Mile End, London has a good reputation on driving training. They have proven their excellence in this field. There are different types of driving training are provided here such as driver CPC training, PCV training, refresher training courses and also LGV/HGV training. There are various advantages are offered if someone enrolls at Dhoot Driving School Miles End, London. 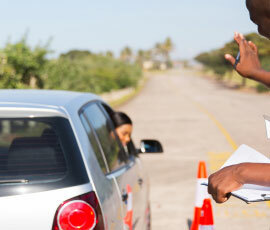 In order to avail the driving license we support our trainees to pass the driving test. At Dhoot Driving School Miles End, London we provide classroom coaching as well as study materials in different language other than English because the trainers of our school are multilingual. So it will not be barrier for those people who are not fluent in English. So without any kind of hesitation you can enroll at our driving school. All the trainers of our driving school are trained ADI and registered with Driving Standard Agency (DSA). We are collaborated with an agency who deals with the issuance of driving license for the new driver. 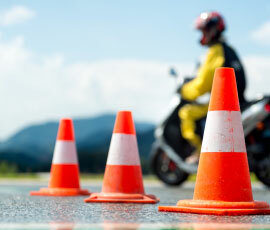 The trainers have the complete knowledge and expertise about the various driving aspects. They know it very well how to safely drive on the road. We provide latest cars which have dual control to our trainees. This facility also has the access to the trainer along with trainees that can eliminate any kind of mishaps in emergency. PCV training: There are different categories in PCV or Passenger Carrying Vehicle like D, D1, D+E, and D1+E. D1 Minibus, D1+E Minibus & Trailer, D Automatic Bus, D Manual Coach are the manually operated vehicles which are the smaller variations in this category. You have to choose from this category which kind of automobile you want to drive and the number of passengers you want to carry. LGV/HGV training: Large Goods Vehicle or Heavy Goods vehicle (LGV/HGV) are those vehicles which are used to carry heavy goods. There are many options in this category such as C1 Â¬+ E â€“ license, C1 + E â€“ 7.5t + trailer, C up to 32 tons, C + E truck and trailer etc. You have to choose as per your need and requirement from these categories based on what kind of LGV or HGV you want to drive. To avail the driving license in this category a vehicle must weight minimum 3.5 tons. Generally if we want to drive this kind of vehicle we need C1 License. B + E car and trailer training: These kinds of vehicle are primarily meant for towing cars and trailers. If you want to drive this type of automobile you need B and B+E license. There is a certain limit of maximum authorized mass or MAM in this category. CPC Driver Training: This new driving training is meant for those who are professional drivers. This training is mandatory for the professional drivers along with PCV, LGV or HGV training. If you want to drive the vehicle on the road you have to have CPC certificate along with C1 or D1 license. They have to go through a 35 hours periodic training within 5 years. To get CPC certificate you have to undergo some tests. There are two parts of CPC theory test of which one is theory test and the other is practical test. The new trainees have to go through the CPC case studies which have the knowledge of traffic rules and regulations and it is designed very easily. Professional entitled forms (D2) are required. We help to filling up the forms and after filled up we send them to concerned authority called DVLA. Dhoot Driving School Mile End, London also have specialized driver CPC module for new drivers where they can enhance their driving capability. The best thing of our training centre is that we provide PCV Pass Protection service to our trainees. It is a service which ensures our trainees that if they unable to pass the exam at first time, they will get another chance to appear at the exam. Another most interesting service we provide that we refund the money in case any trainee fail at the exam in their chosen category of driving and are not satisfied offered by our service. So if you are interested to learn the proper driver, you can get in touch with Dhoot Driving School Mile End, London.